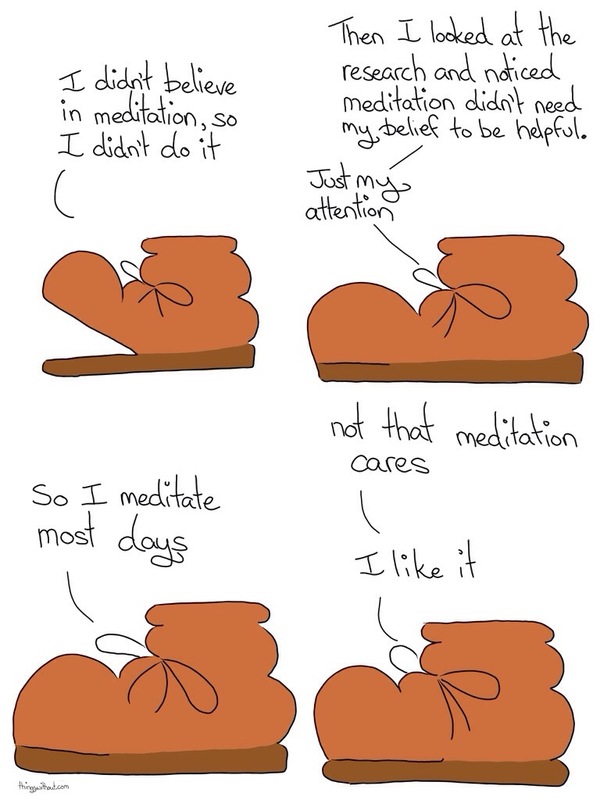 The creator of the things has been meditating almost daily as well! At the start she was only able to do it while she was falling asleep. Then she was able to do it before going to bed. On very rare occasions she manages to do it when she’s sleepy during the day and has a refreshing meditation instead of a nap. Most recently she meditated when she had sad feelings and it was very helpful… She was able to observe and have the feelings without escalating them and that helped the sad feelings pass easier. She listens to a variety of guided meditations and is especially fond of the free mediations from UCLA.